What’s been needed to move forward the debate about formalizing the Anthropocene epoch as a new entry in the official Geologic Time Scale? A paper exactly like this one. Over the last five years a string of papers have been published critiquing the Anthropocene as a geological concept. They’ve contained substantive arguments and weaker arguments; they’ve added to and overlapped with one another. In this paper, the AWG members (with one notable additional contributor) systematise and respond to those critiques. It’s invaluable, clarifying work. The paper identifies 21 distinct objections made on stratigraphic grounds to the stratigraphic use of the Anthropocene, collected from about ten earlier papers. The issue here is the categorisation of sedimentary rock layers, rather than anything else, so there’s no explicit response here to Malm’s and Moore’s “Capitalocene” and the like: the AWG don’t include among their 21 objections the old chestnut that the Anthropocene misrepresents the causes of historical change by treating the human species as a unified mass set apart from the rest of the planet. What they say does implicitly bear on the Capitalocene argument at several points, though. The geological version of the Anthropocene lets us locate the contemporary crisis within the great sweep of Earth history, where it can’t help but belong. Talk about ties, or talk about calibration: either way, the present moment is materially and conceptually and irrevocably bound up with deep time. 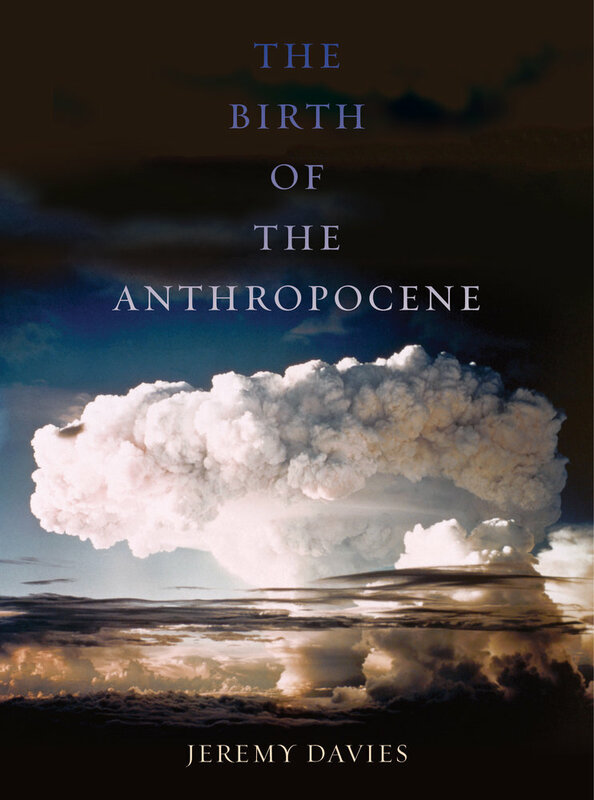 The argument about the beginning of the Anthropocene has always been just as much an argument about the end of the Holocene: it identifies a sundering, a burial, an invitation (if we suspend strict geological rationality for a moment) to mourning. Framing the Holocene epoch as a geological interval that runs from 9700 BCE to AD 1952 sounds strange, yes, but it’s a productive kind of strangeness. The paper as a whole doesn’t really yield any ground to any of the Anthropocene’s stratigraphic critics. Its argument throughout is that the new epoch is a well-founded geological concept, and that none of the objections raised so far should block a full scale proposal to amend the Geologic Time Scale from moving forward for consideration. Its recurring mantra is that the concept of the Anthropocene obeys all the normal rules of stratigraphic formalisation. Yes, of course the material evidence of a recent epoch-level change in the rock record is complicated and variable, but it’s there underfoot, not just a hypothesis about the future, and the geological record always complicated. Yes, the name is a funny one, but equally “to have the Silurian and Ordovician named after obscure ancient Welsh tribes has no apparent inherent logic”: “etymological purity” has never been required (pp. 208–9). The evidence for the Anthropocene shouldn’t be held to a standard of perfection that other chronostratigraphic units don’t reach. “There is no reason to treat these modern successions differently than the rest of the geological column. Chronostratigraphy continues to the present, rather than stopping at some arbitrary point in the geological past” (p. 216). In fact, the AWG write, if the “rapid, major perturbations to […] geochemical cycles, biological communities and sedimentation” that are at issue had been caused by something other than human societies, their stratigraphic significance would be just as great, but they might “have been in some ways easier to analyze and categorize” (p. 221). I think that’s true. They imagine (pp. 214–15) a stratigrapher looking at the world seventy years after the Chicxulub bolide hit. Would she have thought it was too soon to say that a new chapter of Earth history had just begun? So what’s next? The AWG’s report last autumn moved the process into its next stage. Now, “work is beginning to identify and select candidate GSSP sites”: actual places somewhere on Earth where the emblematic starting point of the Anthropocene might be fixed. Expect some results “in the next few years” (p. 221).